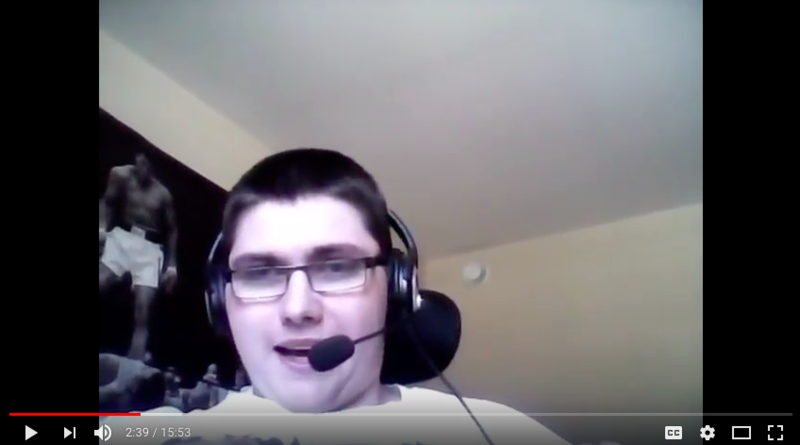 Earlier this month we had an inspiring interview with Jeremy Murray, a University of New Brunswick Media & Film student, about his experience creating short films, going to university, and the challenges he’s had to overcome along the way. HigherEdPoints: Tell me more about the video “The Same Difference” that you created, what was the objective? At a high level what I wanted to do is break down the assumptions people have about people with disabilities. In this video I show that people with a disability and able-bodied people can do things together, you just need to be willing to make the effort to do so. I picked Frisbee because a lot of people assume that if you have a disability you can’t do it. What we showed is that it is possible, and when you do, a great sense of camaraderie forms. Jeremy shares a powerful message about camaraderie in “The Same Difference” video above. 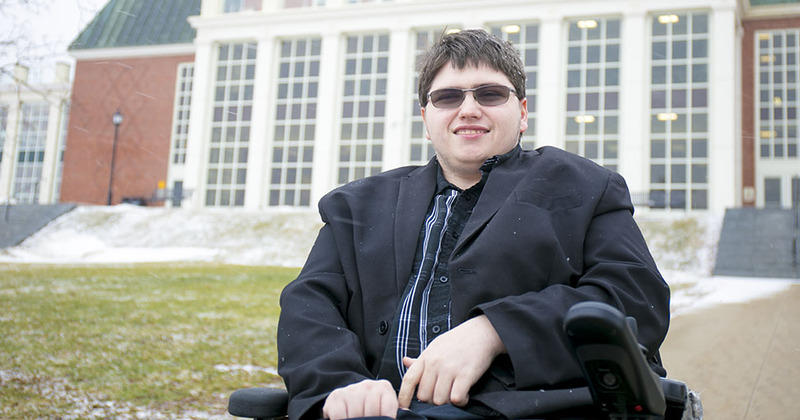 HigherEdPoints: Why did you start the Life in a Wheelchair video blog? I grew up in a town of about 1,500 people, but at the University of New Brunswick the campus alone had 8,800 students and most of them didn’t know me. This whole new world of people really didn’t know how to interact with me – they would act as if I was fragile. This really motivated me to put out these videos and help educate people. Another big motivator was from earlier in my life actually. When I was 14 I went to a rehab facility in Fredericton and at the time was very shy. Over the course of the program they taught me that if I wanted to live the life I wanted, I had to be assertive. After going through their program and learning this, I flipped a switch and really started to speak up for myself. HigherEdPoints: What type of work goes on behind the scenes with your videos? It really depends on the type of content that I’m producing. With the Same Difference video, there are a lot of production elements behind the scenes like the camera angles, set work, editing, script development and such. Whereas when I’m doing a video blog, it’s a lot less about production value and more about sharing raw footage & messaging. I try to go back and forth between both of these because people respond differently to different kinds of content, sometimes you need to carefully craft a message and other times you need to be blunt and to the point. HigherEdPoints: What’s your long-term goal with all of this video work? These short videos are really just the beginning for me, I’ve got two larger projects in mind. For one, I want to put together a film about the transition from being able-bodied to being disabled. I want this to be a really polished production with a lot of depth to it. I’ve been working on this film on and off for about two years now and I’m almost finished up with the script. The biggest hurdle going forward is that I need to find the right crew and actors to contribute. My other major film project is a documentary film using wheelchair support as a lense to discuss stereotypes about people with disabilities and the struggles they go through. This one has been in the works for 5 years now but has come to a bit of a halt because we can’t find funding. I finished one initial interview to use in funding pitches but I’m really excited to keep pushing it forward and do more of these. The overarching idea for this film is to break down the idea that people with disabilities should be celebrated as a superhero when they do ordinary things like playing sports or getting out of bed. A phrase that really annoys me is “The Olympics are where heroes are made, but Paralympics is where heroes come.” Yes we have these disabilities, but we don’t want to be treated differently because of them, we want to be rewarded in the same way that able-bodied people are. So if by the end of this film we can normalize disability and the achievements we make, that would make me really happy. HigherEdPoints: When attending university, were there any major challenges you had to overcome? The biggest thing was definitely the physical accessibility of buildings. When I first got there, some of the buildings were so bad that I couldn’t get into them or would have to go a really long way to get into them. For example in first year the only way for me to get to the dorm where I could use my meal plan was to drive my chair on the road, it wasn’t safe at all. What’s positive is that since I got there, a committee was formed and they’ve made a lot of improvements to the campus, making it much more accessible. A second barrier was the lack of awareness and education amongst the faculty. Many of them didn’t know how to interact with me or how to handle certain situations. Luckily I had become a lot more assertive and was able to clearly communicate what I needed from them, but many people are shy and don’t do this. Lastly, funding was definitely a challenge for me. I had to rely completely on student loans to get my education and with my disability, many things cost me more than it would for an able-bodied student. I was forced to stay in the most expensive residence building because the other wasn’t accessible and the student loan department wasn’t able to adjust my funding to consider this. Luckily in 2013 my financial guidance counselor suggested HigherEdPoints.com and I was able to reduce the burden of these loans using loyalty points. HigherEdPoints: What are you currently doing for work and what are your long term plans? 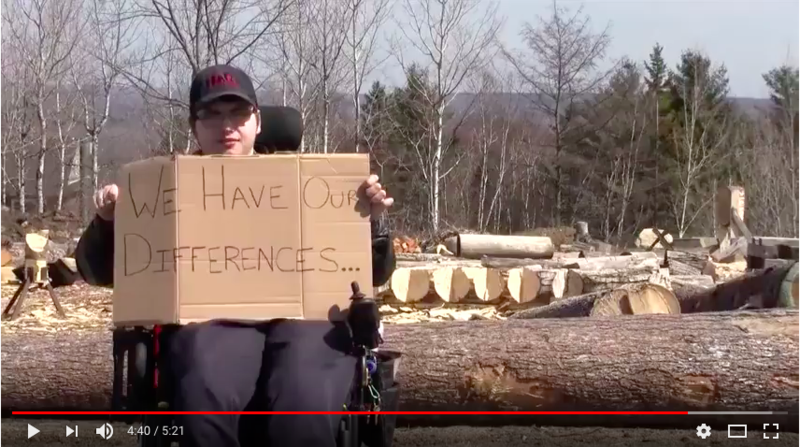 Ultimately I would love to open my own production company and hire people with disabilities to work on projects, but it’s hard to get money for film in New Brunswick as it’s a smaller market. Until then, I plan to keep building up my skills and focus on earning a living. I’m currently doing social media and video focused work as a freelancer, this way I have a job to pay the bills and still get to be creative. A current client of mine is TransitionNB, a program run by AbilityNB where I focus on doing interviews and create social media content.